November 21 is National Red Mitten Day! TORONTO--(BUSINESS WIRE)--Today, Hudson’s Bay announced the launch of National Red Mitten Day! To mark the occasion, on Tuesday, November 21, the HBC Foundation will donate $100,000 to the Canadian Olympic Foundation to help Canadian athletes achieve their dreams. 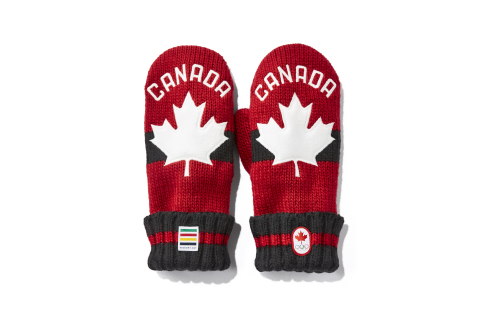 Since their launch ahead of the Vancouver 2010 Olympic Winter Games, Hudson’s Bay’s Red Mittens have become the nation’s most iconic symbol of Canadian Olympic pride with $3.90 from the sale of each pair of Red Mittens going to support Canadian athletes. To date, the Red Mittens alone have raised more than $30 million for the Canadian Olympic Foundation. 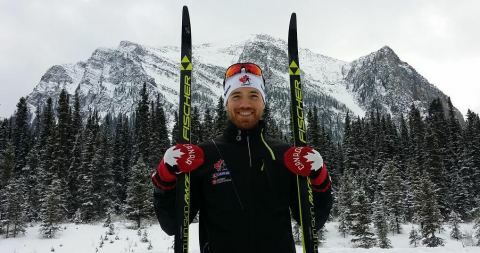 Money raised from the Red Mittens helps provide Canadian Olympians and next generation athletes with access to elite coaching, equipment, sport medicine, nutrition and other high-performance resources that make up a world-class daily training environment. “The Red Mittens unite us a country and demonstrate the pride and passion we have for our country. We are calling on all Canadians to join us in celebrating Red Mitten Day and help support our Canadian athletes,” said Alison Coville, President, Hudson’s Bay. The 2018 Red Mittens celebrate the heritage of our past mittens by truly embracing our iconic DNA. The Red Mittens are designed and inspired by sports and Canadian pride, with a bold athletic stripe and our beautiful maple leaf. 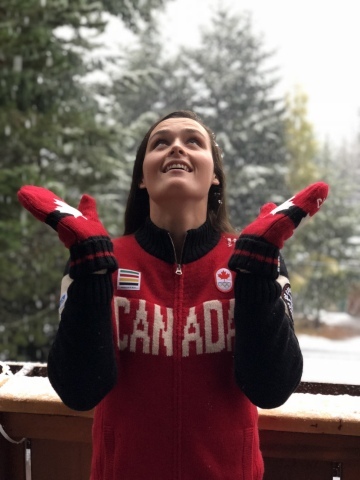 The Red Mittens match the overall design theme of the entire Team Canada Collection for 2018 and will be worn during both the Opening and Closing Ceremonies in PyeongChang. The Red Mittens are available in “infant” to “adult” size, allowing the whole family to showcase their Canadian pride. The Red Mittens continue to be a coveted collectable that makes a colourful and useful gift, while supporting a great cause. Established in Canada in 2005 and in the U.S. in 2017, the HBC Foundation is the North American charitable arm of Hudson’s Bay Company. The foundation is a Canadian registered charity and a 501(c) (3) non-profit organization in the U.S. dedicated to improving lives by enhancing physical and mental health through education, access, research, and empowerment. By channeling the collective power of HBC’s banners in North America, including Hudson’s Bay, Lord & Taylor, Saks Fifth Avenue, Saks OFF 5TH and Gilt.com, the foundation helps to transform the mental health landscape. The Canadian Olympic Foundation raises and grants funds to the Canadian Olympic team, the next generation of Olympic athletes and the Canadian sport system. Established in 2007, the Canadian Olympic Foundation has granted over $48 million to high-performance sport partners across Canada, including the Canadian Olympic Team, national sport federations, the Canadian Olympic and Paralympic Sport Institute Network, and the Canada Games Council. The Canadian Olympic Foundation raises funds through corporate donors and partners, events and through generous Canadians, like you.